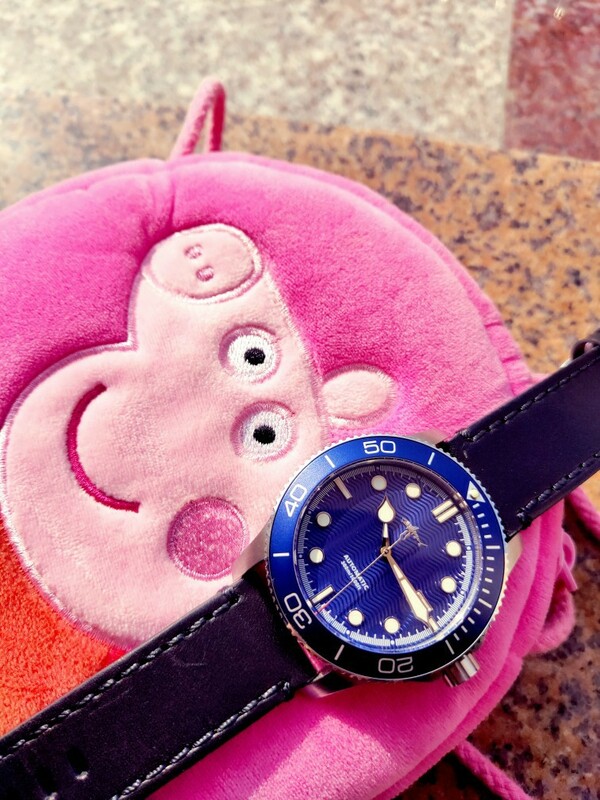 Time is more precious than watches. ^^^ because that would mean them doing their own r&d which is where the money is at. At the moment, it'll be a case of 3D scanning the existing product and manufacturing it, unless they've somehow got the CAD files for it. it is pretty easy to convert CAD or related file after the 3D scanner screen. Even without cad file, they can do that with 3D file scaling to become 40mm, or scaling with percentage. 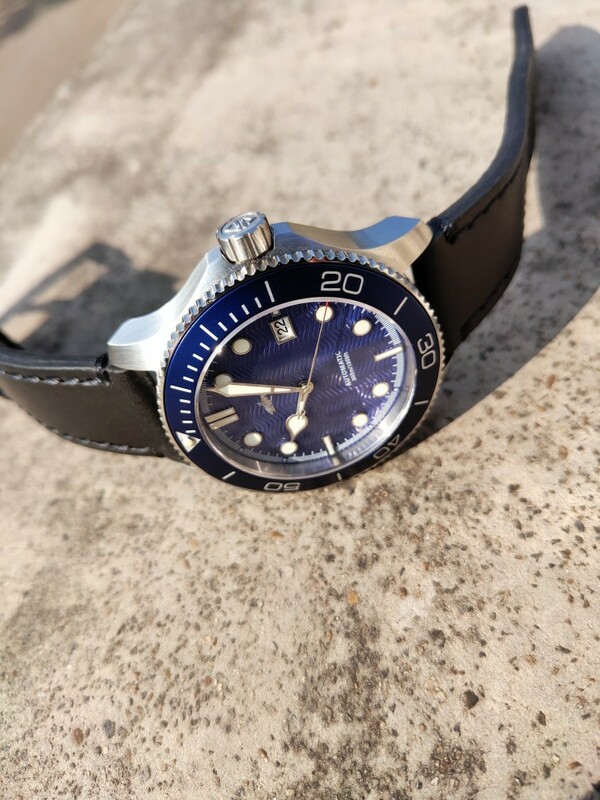 I think most real CW fans will wait for the Trident mk3, expected shortly and now coming in 38/40/42mm sizes I believe. Agreed things can be scaled, but there's a little more complexity to it than just scaling an existing model up/down. Things like crown tube, movement holder/internals, lug widths etc would all have to be modified to correct sizes. I'm not saying it's impossible, but would require effort. I, for one, would love CW to produce a 40mm C60 as long as the lug-lug length is not overcooked. The current 38mm C60 doesn't work for me anymore, with the diameter/height ratio being a major factor. Anyway, in the meantime I'm interested to hear Gary's thoughts on the homage. StrappedUp wrote: ^^^ because that would mean them doing their own r&d which is where the money is at. 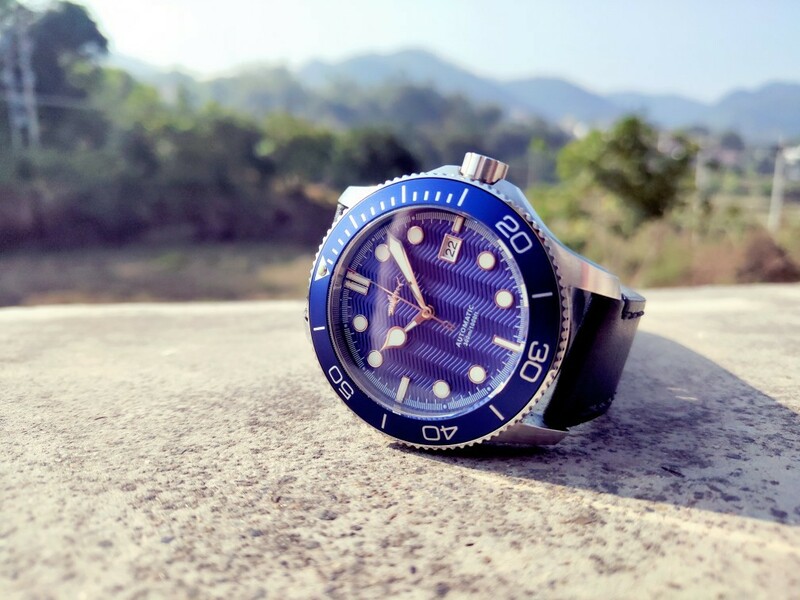 Since the copyright law does not apply in China, the maker of cases for CW and also the maker of dials and hands just continued to produce them or sold blueprints to another company. Every single modern object is either made or assembled from parts made in China. ...please don't tell me you think CW cases are made in Switzerland or Britain? Re: HEIMDALLR TRIDENT C60 MK1? (real-life photo) cost USD80? or USD50? That's because the new topic / thread from this morning of 'HEIMDALLR TRIDENT C60 MK1?' was merged by The Admin Team into the existing 'C60 Homage' topic, earlier today. Of course they are. I've always been under the impression that Mike France hand carves each case with a pocket knife then Peter Ellis applys a lick of Cape Cod to finish up. My comment was in relation to the suggestion that they should produce a 40mm version. This doesn't exist, unless I've been asleep all this time and missed something?? So yeh, they'd need to do some work rather than manufacture a direct copy of an existing product. Oh. Missed that one. Pardon me. Thanks Patrick, I didn't realise it was confirmed. Thought it was a rumour! My initial comment re. 40mm was about Heimdallr making one. 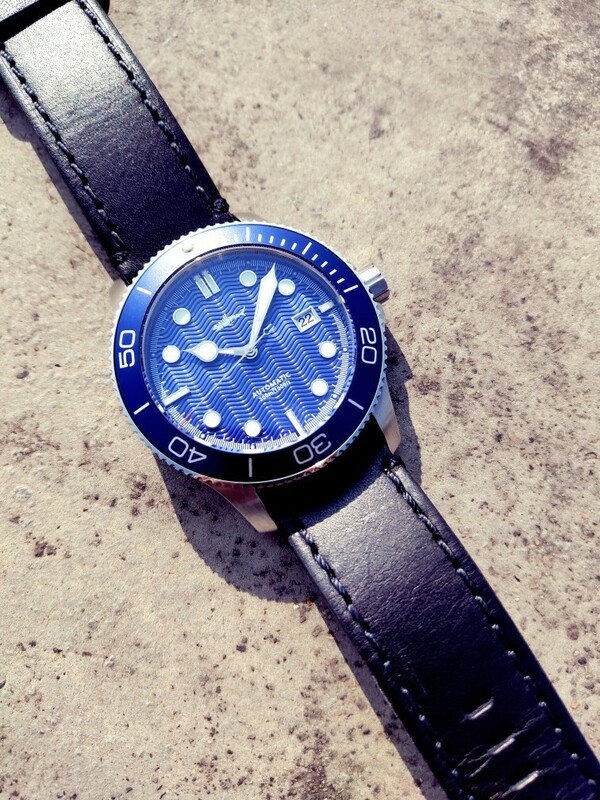 I've kind of got my heart set on the 39.5mm Aquis, but a 40mm Trident may have me thinking again. For me, it needs to be spot on to beat the latest Oris though. 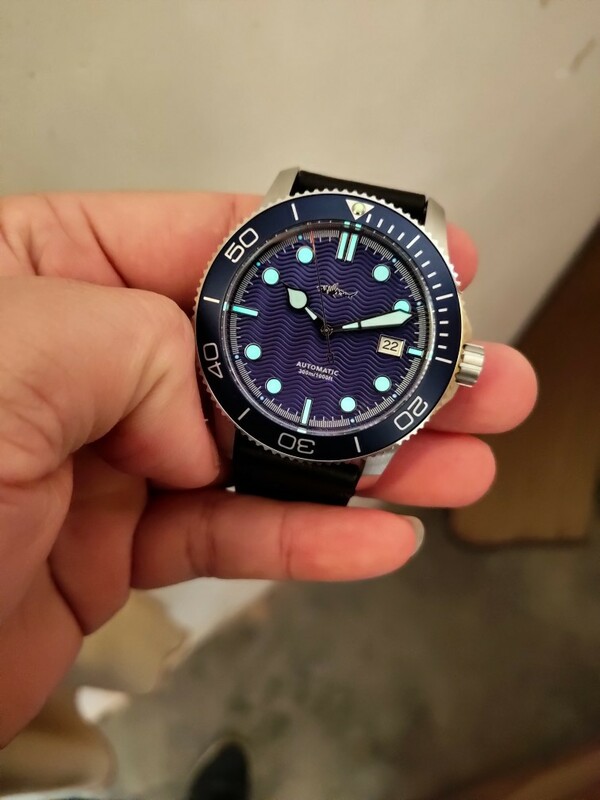 Given that CWL changed case suppliers between the MkI and MkII Tridents, it’s entirely possible that the previous case makers are now selling the same cases to the makers of these watches. Out of nothing more than idle curiosity I ordered one of the above mentioned watches, in all things, green. You have received a new message from Heimdallr Watch regarding order with the reference ORD-XXXX. Did you see the shipping notice? We are currently in the CNY Holiday phase, our shipper has stopped working and taking new shipppings. Your order will be sent around 14.2. Please confirm if its okay for you. I think it puts having to wait a few days for CWL to ship an item in perspective! Lawrence wrote: Out of nothing more than idle curiosity I ordered one of the above mentioned watches, in all things, green. I’ve order a watch from another company and I’ve had a similar response from them , i suppose after all it is chinese new year and they’re entitled holidays the same as we are .